I. What is it CamSplitter software allows to use one webcam driver and device in multiple applications without locking the device. This software is designed to work like a bridge between one webcam device and several webcam software applications. II. How to use 1) Download and install from the download link below. 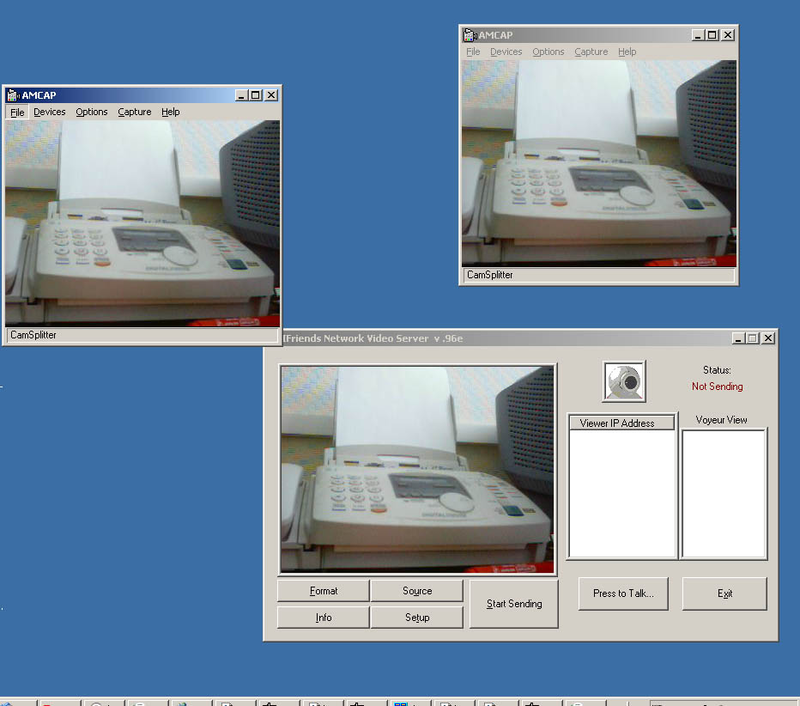 2) Execute any webcam software and select 'Camsplitter' device as video source. 3) When you first time running CamSpliiter it will ask you to choose real webcam source. You will have to select real webcam device to be used for video splitting. 4) You can run other webcam programs and choose CamSplitter as video source device, webcam driver is not locking and you will have your video in all programs. 5) If you like our software, please follow steps to buy licence and activate program. III. Supported platforms * Windows NT * Windows 2000 * Windows XP * Windows 2003 .NET Supports Windows Vista!